Commercial Oven Services Overview - Cobblestone Ovens Inc. When your equipment is down and the factory is unavailable, you need more than just a supplier of parts—you need a parts partner who knows and understands exactly what it’s going to take to get you up and running again. 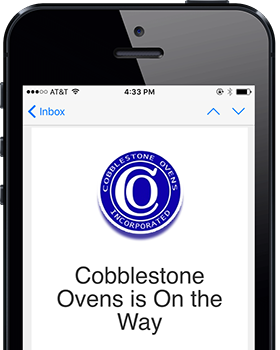 At Cobblestone Ovens, we have over 150 years of combined experience installing, removing, rebuilding, and troubleshooting large, specialized ovens. Our friendly, knowledgeable, CFESA-certified service experts are available 24/7 for emergency service, shipping and troubleshooting, in real time. In other words, we do it all: quickly, professionally, and affordably.